When you’re looking for someone to help you sort through life’s issues, you want an experienced professional who will patiently listen to you, expertly help you figure out what’s going on, and quickly help you find solutions. You want Continuum Integrated. Continuum Integrated represents expertise in delivering the best available treatment approaches in behavioral healthcare. The organization is committed to assuring children, teens and families receive the desired help to achieve their highest level of coping with the life circumstances which may put them at higher risk for failures. When you receive care at Continuum Integrated, you have a team behind you. Our outpatient services are organized into a multi-disciplinary team comprised of clinical professionals – licensed counselors, therapists and psychiatrists. The services at Continuum Integrated aren’t just good because we say they’re good, our quality is recognized by the Joint Commission, the most prestigious accrediting body that assesses healthcare organizations.  The Joint Commission is the same organization that makes sure hospitals are providing quality care. All services provided at Continuum Integratedare completely confidential.